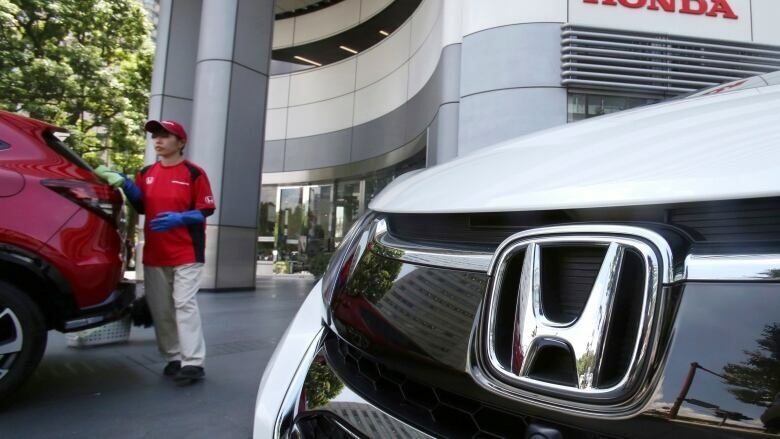 Honda announced two separate recalls Friday, including one of the largest in the company's history, part of an effort to replace faulty airbag inflators. In addition to 1.4 million Honda and Acura vehicles in the U.S., 14,000 Canadian vehicles are being recalled for faulty rear-view camera software. Honda says it will recall 1.4 million U.S. cars to replace front passenger airbag inflators made by Takata. The Honda recalls are the fourth part of a five-phase plan announced by the National Highway and Transportation Safety Administration in May 2016. Honda says it is ahead of schedule, with more than 77 per cent of existing recalls repaired. Honda is recalling about 232,000 2018 Accord vehicles and 2019 Insight hybrid cars in the U.S. for malfunctioning software for the rear camera display, and 14,000 in Canada for the same problem. There have been no reports of accidents or injuries related to the problem, Honda Motor Co. spokesperson Tomoko Takemori said Friday. The Tokyo-based automaker said that apart from the recalls involving the U.S. and Canada, more than 6,000 vehicles in Germany and nearly 3,000 in South Korea are also affected. The software will be updated at no charge, the company said. It said the rear camera display does not show the images properly when the driver shifts into reverse in the affected vehicles, a problem that can be dangerous and does not comply with U.S. requirements.